MOSCOW, December 28. /TASS/. Specialists have restored communication with Angola’s AngoSat satellite, which was launched from the Baikonur spaceport on December 26 and obtained telemetric data from it, a source in the rocket and space industry told TASS on Thursday. "Specialists have been able to restore communication with the AngoSat satellite and obtain telemetric data from it," the source said. Telemetric data is taken on board the satellite and then automatically sent to the Earth, whereas the communication channel sends commands from the operations control center to the spacecraft. Contact with AngoSat could have been lost because of the discharged accumulators, and the electric power was restored due to the unfolded solar batteries, a source in the Russian rocket and space industry told TASS. "According to preliminary information, communication with AngoSat was lost because of the discharged accumulators. However, by this time the satellite had been aligned to receive the sun energy and had unfolded its solar batteries, which made it possible to gradually restore energy in the spacecraft’s electric system," he said. 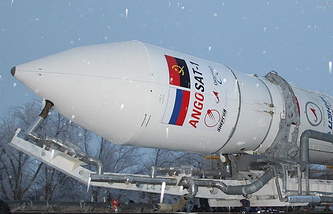 Russia’s Energia Space Corporation reported on Wednesday that its experts are working to make Angola’s AngoSat satellite operate normally again. 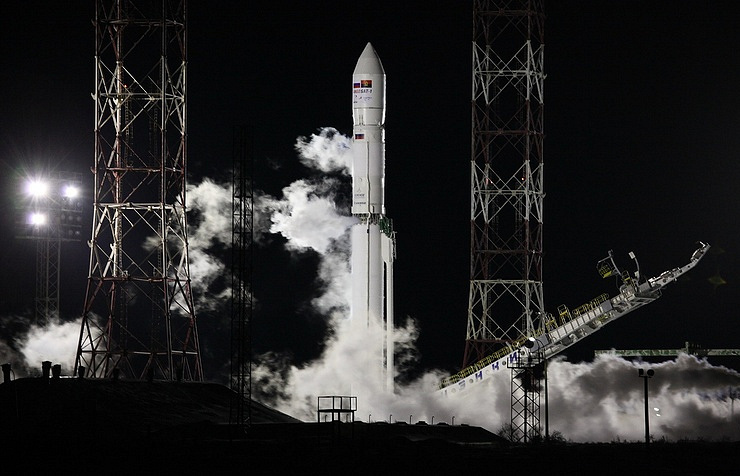 A source in the Russian rocket and space industry told TASS earlier that contact with the satellite was lost when its solar batteries began to unfold. The Zenit-2SB carrier rocket with the Fregat booster and Angola’s AngoSat satellite blasted off from the Baikonur spaceport in Kazakhstan at 22:00 Moscow time (19:00 GMT) on December 26. The Fregat booster and AngoSat separated from the second stage of the carrier rocket eight minutes after the launch. The satellite separated from the booster at 06:54 Moscow time (03:54 GMT) on December 27. After that, the satellite started to move as planned and provide telemetry data, but when its solar batteries began to unfold, telemetry data stopped coming. Russia’s Energia Space Corporation created the AngoSat satellite for Angola’s Ministry of Telecommunications and Information Technologies.